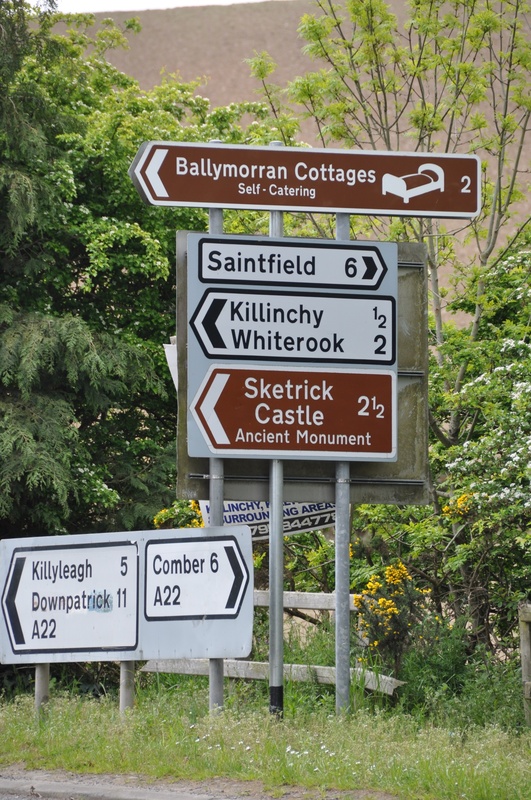 There are six Irish townlands named Balloo. Today I’m focusing on the one in Killinchy, County Down. This is a rural townland, mostly farmland, located a couple of miles from the western shores of Strangford Lough. This photo of a crossroads in the middle of the townland gives you a good idea of where it is (although I believe WhiteROOK is actually WhiteROCK). The name may seem odd to readers only familiar with Baloo the bear from the Jungle Book, but according to the PLACENAMESNI website its origin is probably the Irish word Baile plus an Irish personal name like Aodh, which is often translated into English as “Hugh”. 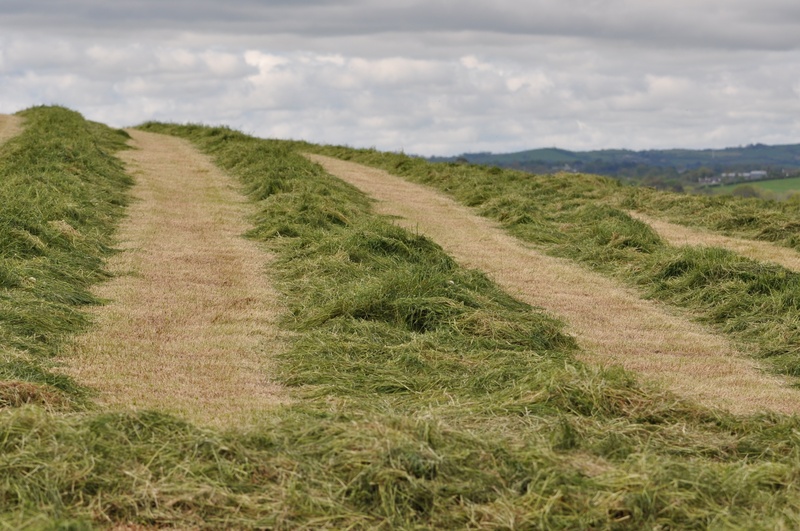 When I visited Balloo in the last week of May, it was time for the first cut of silage. 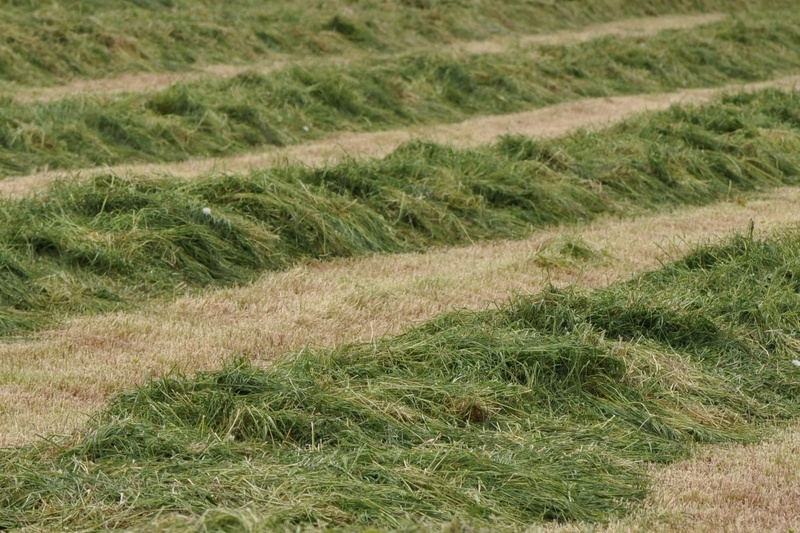 I took these photos after the grass was cut, and before it was lifted and made into winter food for cattle. I hadn’t done any farm labouring to work up an appetite, but I still enjoyed a great lunch at Balloo House. 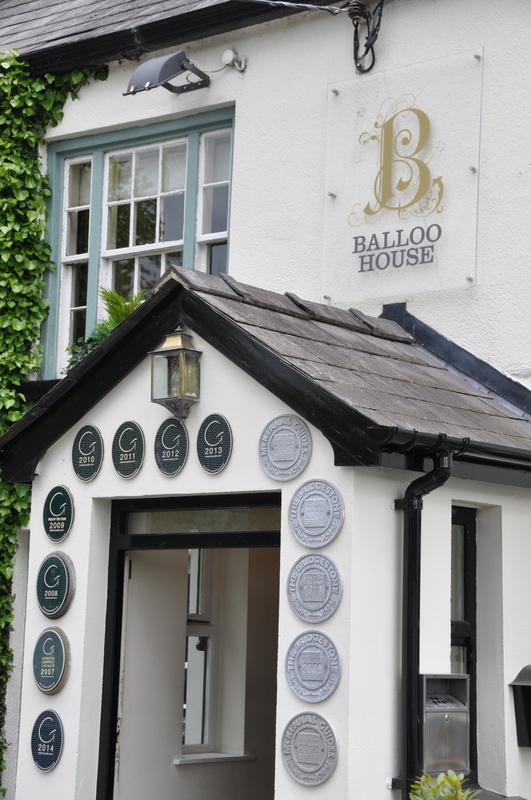 To find Balloo House, just aim for the signpost in the first photo – the inn is right across the street.